I found a couple of more ideas for recycling these functional little goodies! I think this mini coffee sleeve notepad by dearbarbz is also a cute idea! 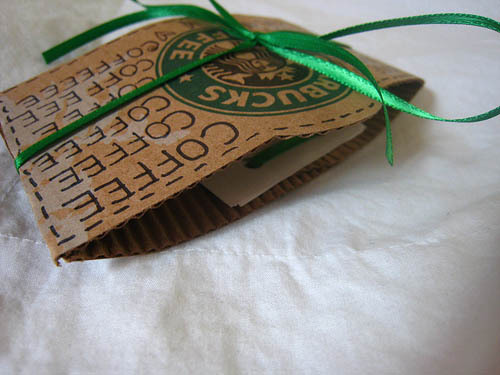 How about his idea for creating magnets with Starbuck's coffee sleeves by Sei Art Studio!